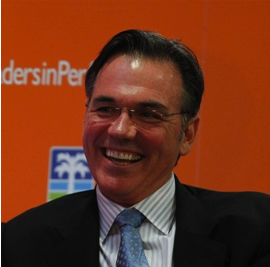 Billy Beane, the protagonist from the book and movie "Moneyball" is quite an abnormal character. He was the general manager, the GM, of the oakland Athletics, a major league baseball team, which was the poorest team in the whole major league. He was the man who lead the team to the league trophy by his new way of rating baseball players called sabermetrics which was a revolutionary change. He is now known by almost every baseball fan in the world as the man who changed all the "normal" in baseball; that the teams with the most money, like the New York Yankees, will win. He has a slight connection to me, as I also have a passion in baseball but do not play the game itself. Since Billy Bean is a GM, he does not go on the field but is still the man who knows most about the game and chooses how it is played. I believe that he is abnormal from the fact that he had quite an unique way of thinking and was on a completely different scale compared to other GM in that time.